What is the meaning of MLM and why is it so bad? What is the meaning of MLM? 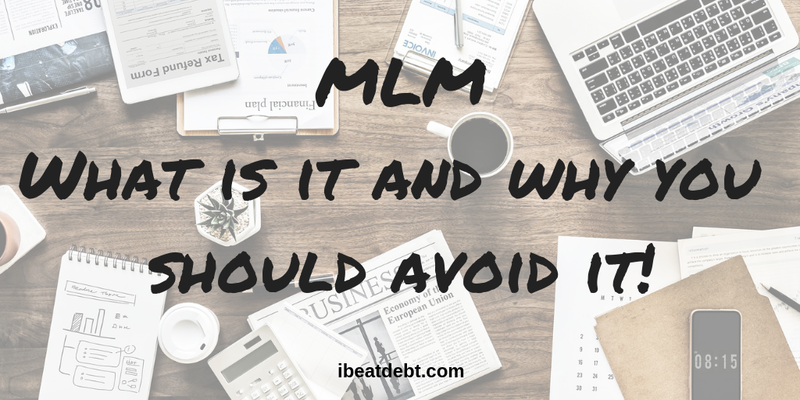 The meaning of MLM is Multi Level Marketing and unless you live under a rock, you are probably being exposed to it in loads of ways, you just might not realise that is what it is. In short it is barely more than a pyramid scheme, except for the fact that a product or service is involved, instead of just being about a membership or recruitment fees. The people at the top receive commissions and income for anyone joining or making sales below them, so unless you manage to recruit a massive amount of people below you, you are unlikely to make any real money out of it, particularly with the amount of programmes that involve a joining fee or kit purchase up front. The problem with pyramid schemes is that they are not sustainable. Only the people at the very top actually make money. The more people who join, the more people below them will need to join to ensure that everyone makes their money, but eventually they will run out of a pool of recruits and most people will make a loss. 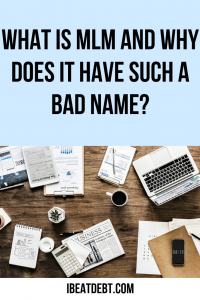 Why do they have a bad name? The problem with MLM programmes is that so many of them have allowed people to get burnt because the vast amount of people end up spending more than they can ever make. They are also actively promoted, particularly on social media platforms as quick and easy money making opportunities. Like most things in life – if it seems too good to be true, it usually is. What about well known companies? Even well known companies like Avon and Ann Summers – in fact anything that refers to it’s “recruits” as distributors, promoters or consultants etc, are some form of MLM. New brands and companies are cropping up all the time, and some of these are making the MLM name even worse than it was. Years ago I joined Stampin Up as I was really into crafts and things like that. It was a set price and you could choose up to a certain value of products for a reduced price and as there was more than that amount of stuff in the catalogue that I wanted, I joined up. I had no real intention of making money from it, apart from maybe sharing a catalogue with a friend or two, but once I joined I saw that there was so much more to it. You weren’t forced to make sales but the person who signed you up would encourage you to do so. Also as a “demonstrator” you could aim for rewards and even holidays for the top sales person, so I just kept my kit and let me “membership” lapse. I didn’t want to become a pushy sales person, and I wasn’t interested in signing other people up. Clare from My Money Cottage tried out being an Avon rep and has written about it for her site. 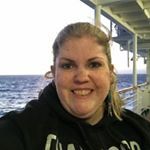 She explains it far better than I ever could – after all, she has tried it, but here are my key takeaways from her experience and those of other people who have tried MLM. Anything that involves a signup or joining fee should be avoided. You are out of pocket before you begin and it will be nigh on impossible to make that money back. Some programmes require you to pay for your catalogues or books too, another expense before you can even start making any money. Even well known brands can sometimes be hard to sell – and you usually need to sell a lot before you can make any money, which means with less well known brands it is nigh on impossible to make money. The real money to be made is usually in signing up recruits, but you have to be a certain kind of person to encourage others to sign up to something that you are perhaps already getting disillusioned with and as Clare explains in her post – quite often she would make losses on these new recruits as she would cover the costs of the catalogues or books and some would never be seen again! It is incredibly unlikely you will make any serious money from any MLM programme – no matter what you are promised on sign up and there are far better ways of making money! Use your discretion and perhaps look for a side hustle which relies less on other people or false promises!